Life’s tough as an Elf girl stranded in Earth’s realm. When a jaguar shifter drops in out of nowhere and asks me for help in tracking down an ancient blood-magic statuette, I say no thank you. I learned a long time ago the key to survival is keeping a low profile. But it’s hard to ignore an artifact of the gods powerful enough to blow holes in reality. Enter stalker werewolves in a black Mercedes and magicians trying to capture me. They all think I know where the damned statue is. Then I’m attacked by demons. It wouldn’t be so bad, but some of them are really rude. Being rude is a capital crime where I come from. Time for a lesson in manners. 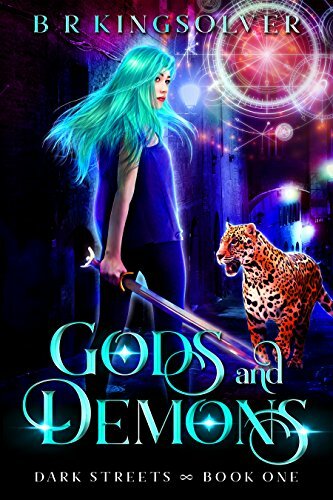 Click here or type in http://geni.us/zXAXbs into your web browser to pick up your copy of Gods and Demons in the Amazon Kindle store. BR Kingsolver, author of Urban Fantasy and Science Fiction, grew up surrounded by writers, artists, myths, and folklore in Santa Fe, The City Different, in the Land of Enchantment. After living all over the US and exploring the world–from Amsterdam to the Romanian Alps, and Russia to the Rocky Mountains–Kingsolver trades time between Baltimore and Albuquerque. With an education in nursing and biology and a Master’s degree in business, Kingsolver has done everything from construction to newspaper editor and jewelry to computers. Kingsolver, a passionate lifetime skier, currently spends time writing and working with computers while living nine blocks from the harbor in Baltimore. You can visit her Amazon author page if you click here or type in http://geni.us/kingsolver into your web browser.